Autodesk has announced that it intends to invest up to $100 million in 3D printing companies over the next several years. The Spark Investment Fund, which will be operated within Autodesk, is the first of its kind for the 3D printing industry and will invest in entrepreneurs, startups and researchers who push the boundaries of 3D printing technology and accelerate the new industrial revolution. 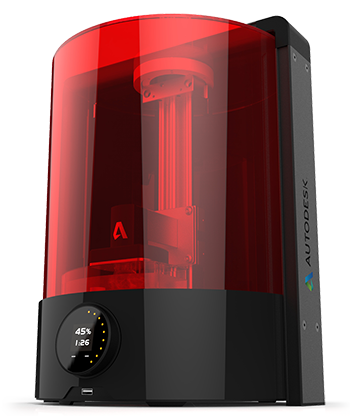 Earlier this year, Autodesk announced Spark, an open and free* software platform for 3D printing that will connect digital information to 3D printers in a new way. Spark will connect to any hardware and be materials agnostic, and the company invites the entire 3D printing community to collaborate, build and improve the platform, its associated Ember 3D printer and materials. Companies and individuals developing groundbreaking hardware, software, materials, marketplaces and maker spaces are encouraged to apply to participate in the Spark Investment Fund’s investment portfolio. In addition to the financial investment, Spark Investment Fund recipients will become part of the Spark partner program and have access to marketing and other developer services available to Spark partners. It is through this unique combination of strategic investment and value-added partnership opportunity that Autodesk seeks to extend and empower the Spark ecosystem and spur innovation toward a more mature 3D printing experience.